AttackIQ answers the question: how do I know my controls are working correctly? Test the efficacy of new products you are considering before you make an investment. 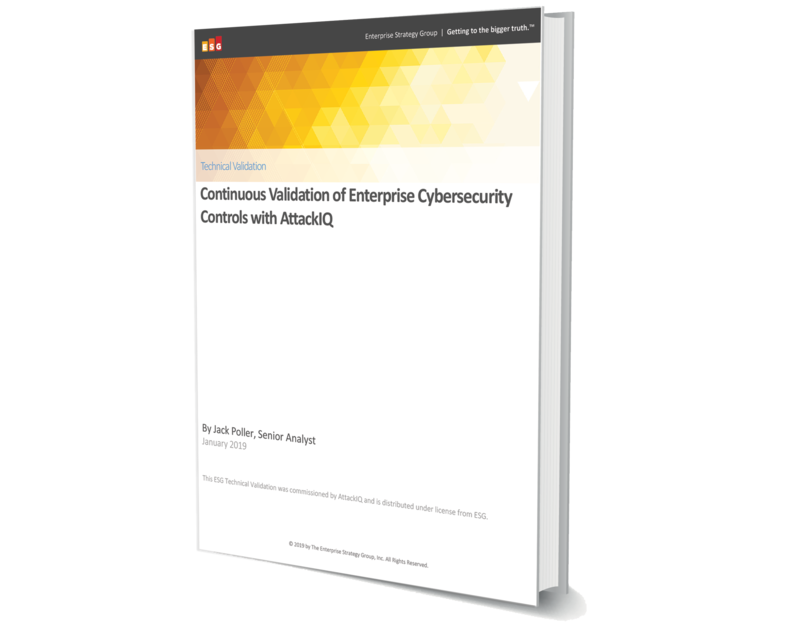 ESG just published a new report detailing the findings of their hands-on assessment of the AttackIQ platform’s continuous security validation of security controls. In this report, ESG details the steps their lab took to test the AttackIQ platform and the results, including leveraging the platform to automate the MITRE ATT&CK framework. They performed tests from the perspective of both red teams and blue teams. According to the report, “Before investing in yet another cybersecurity tool, organizations wanting to strengthen their security posture should prioritize investing the few minutes necessary to evaluate AttackIQ, a tool that can continuously validate the effectiveness of their existing cybersecurity toolchains, identify gaps, and help remediate issues. Read the report to learn about the ESG lab evaluation and findings. Copy and paste this HTML into any other section to create a nested 2-column layout in a differnet spot on the LP. © Copyright 2019 AttackIQ, Inc.